When adventure calls, you’ll be ready in the 2019 Toyota 4Runner. This SUV boasts the pedigree of an off-road legend and the toughness of the Toyota on-body truck frame. Any of the 7 available 2019 4Runner trims provide you with the power, agility and pure ruggedness to tame any mountain. That’s because they are all equipped with standard skid plates and 9.6 inches of ground clearance, with all-wheel models adding additional clearance. Bottom line — an obstacle too tough for the Toyota 4Runner just doesn’t exist. In fact, the 2019 4Runner’s storied off-road abilities place it among the best in its class. When you upgrade to the TRD trims, you get additional off-roading chops due to a locking rear differential and crawl control to climb any path or rugged trail. Even though the Toyota 4Runner can certainly meet your road driving requirements, getting off-road is where it really shines. The Toyota 4Runner may not have the largest engine in the SUV category, but it is precisely tuned to perform at every turn. Every trim in the 2019 lineup features the 4.0-liter V6 DOHC 24- Valve engine. This dependable power plant delivers a capable 270 horsepower at 5,600 RPM and 278 lb.-ft. of torque at 4,400 RPM. This allows for an impressive 5,000 pounds of towing power to easily bring your boat or camper on your next weekend adventure. The Hill Start Assist Control (HAC) and Downhill Assist Control (DHAC) keep you moving through the most rugged terrain with total confidence. The standard 5-speed automatic transmission makes highway driving a breeze, while the available 4-wheel drive really puts the scrambling performance over the top. No one will confuse the interior of the 2019 4Runner for a luxury SUV’s interior. However, the rugged materials that Toyota has chosen to use will fully support your off-roading lifestyle. Plus, you’ll have all the room you need to pack up your crew and gear for any type of adventure. The 2019 Toyota 4Runner seats 5 adults in its standard configurations and adds room for 2 more passengers with the third seating row. The 2019 4Runner is capable of accommodating small children with its standard LATCH system to safely and quickly fasten car seats. Function reigns over frills in this rugged vehicle, but that doesn’t mean you’ll go without your favorite technological features. Every 2019 4Runner boasts standard tech such as navigation, advanced voice recognition, and a household-style power outlet located in the rear cargo hold. You also get the available Entune™ infotainment system, which helps keep you in control of your in-car experience. There’s no reason to leave extra luggage at home because in the 2019 Toyota 4Runner you have a remarkable amount of cargo space. Stretch out and enjoy the ride with 88.8 cubic feet of overall space and more than 47 cubic feet of cargo space behind the second- row seats. The lineup of 2019 Toyota is designed to meet your varied driving needs with 6 separate trim levels. All of these entry trims come standard with reliable Toyota rear-wheel drive. However, 4-wheel drive is an available feature. 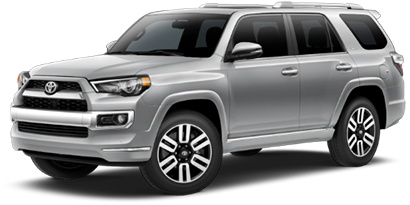 When you get into the higher-level trims, such as the Toyota 4Runner TRD Off-Road, Toyota 4Runner TRD Off-Road Premium, and the Toyota 4Runner TRD Pro trims, you’ll get 4-wheel drive standard. In the TRD trim levels, there are additional features that enhance your off-roading ability such as a locking rear-wheel differential and crawl control. Higher model trims also keep you better connected with smartphone integration. The base model for the 2019 Toyota 4Runner is the SR5. There is also an upgraded SR5 Premium which adds synthetic leather upholstery, heated front seats and the Entune infotainment system. 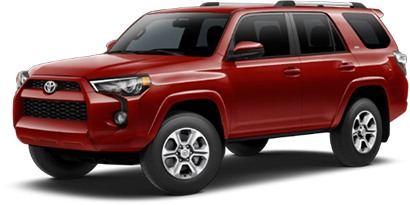 The 2019 Toyota 4Runner Limited trim level is the most refined of the options. It adds nice touches like leather upholstery throughout, an upgraded sound system and front and rear parking sensors. If you’re looking for a dealership in Tampa that truly has it all, then you need to look no further than Toyota Of Tampa Bay. With the best selection of New, Used and Certified Pre-Owned vehicles in Tampa, you’ll get a truly one-stop shopping experience. We blend the customer service you need with the financing you want to complete your car-buying experience. 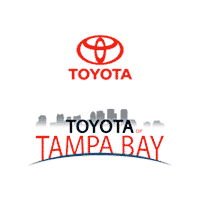 There’s no other dealer that can do it like Toyota of Tampa Bay! Call or click today for your test drive or service appointment! * MSRP excludes the Delivery, Processing, and Handling Fee of $920 for Cars (Yaris, Yaris iA, 86, Corolla, Corolla HB, Camry, Camry HV, Prius LB, Prius c, Prius Prime, Mirai, Avalon, Avalon HV), $1045 for Small/Medium Trucks, SUVs and Van (C-HR, RAV4, RAV4 HV, Highlander, Highlander HV, 4Runner, Sienna, Tacoma), $1,295 for Large SUVs (Sequoia, Land Cruiser), and $1,395 for Large Truck (Tundra). (Historically, vehicle manufacturers and distributors have charged a separate fee for processing, handling and delivering vehicles to dealerships. Toyota’s charge for these services is called the Delivery, Processing and Handling Fee and is based on the value of the processing, handling and delivery services Toyota provides as well as Toyota’s overall pricing structure. Toyota may make a profit on the Delivery, Processing and Handling Fee.) Excludes taxes, license, title and available or regionally required equipment. The published prices do not apply to Puerto Rico and the U.S. Virgin Islands. Actual dealer price will vary.